The State of Science Fiction | The Bottom Line "The Drawing Center"
Lebbeus Woods has created works, and within his works entire worlds, which in appraisals and reviews often evoke the genre and imagery of science fiction. Yet his concept of science fiction reaches far beyond what the term generally implies. We need labels to classify things, to easily associate and to contrast them to the realms of what we know. By doing so, we inevitably simplify and diminish them, too; some things just defy easy classification. Science fiction suggests a futuristic scientific universe, but it is also a Weltanschauung, a conceptual world-view that envelops the possible that can be imagined, and the impossible that could come into being, separately, and all at once. It can also comment on our present reality, transcending it into a futuristic-looking hyper-reality – something so real that it surpasses the banality of everyday mechanics and trite politics. Of course, science fiction can be, and often is, pure fantasy and escapism. The best of it lets us explore our current experiences and our possible futures through bold aesthetic forms and means; it allows us to see things from new angles, and make audacious connections between well-known images and previously unimagined perspectives. In short, it lets us understand our reality in a new way. Lebbeus Woods. The New City. 1992. 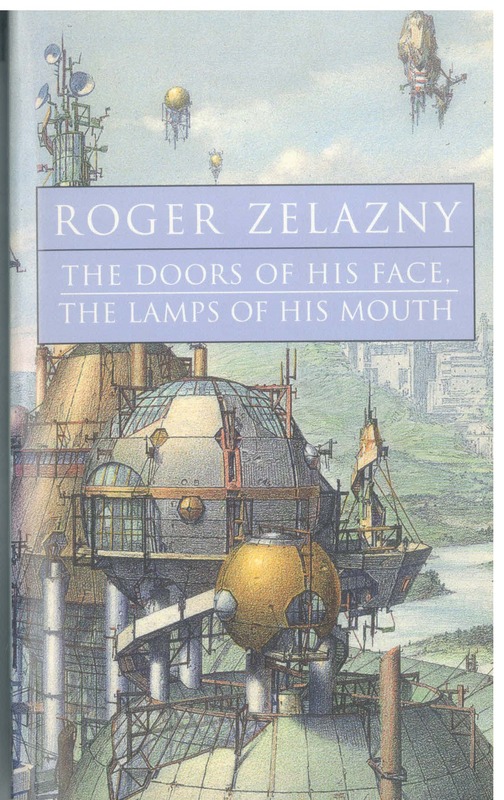 Cover page for Roger Zelazny. The Door of His Face, The Lamps of His Mouth. New York: ibooks, 2001. As filmmaker and storyteller, this is also where my interest in science fiction lies. Our surroundings are rapidly changing, and so are we. Consumer society, all-pervasive media, terrorism and state surveillance, a general sense of paranoia and disconnectedness, sanitized violence, and helplessness of the individual are already realities that shape us. Through fragmented but connected narratives, science fiction can explore how these external realities affect the internal world of the individual and, in turn, can redesign the external realm: issues of control, individual choice, and personal responsibility are intertwined with the way we are conditioned by society, our environment, and how we construct our concept of reality. Another architect who had become a well-known filmmaker once told me that all architects want to be filmmakers. To me, Lebbeus was both. As a filmmaker, I would have probably focused mostly on the story of Alien3 and tried to find the best visual way to tell it; as initial conceptual architect and designer for the film, Lebbeus created the world, which told the story. In the end, his designs were not used. 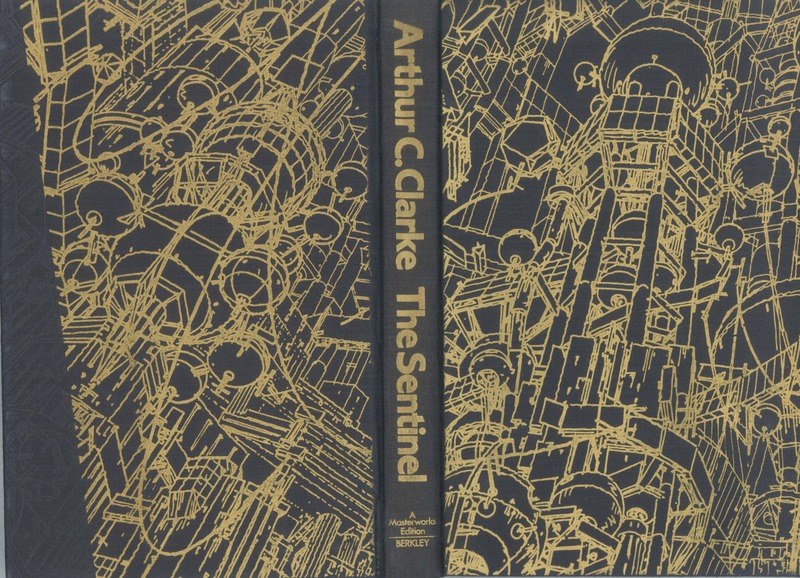 Cover for the limited hardcover edition of Arthur C. Clarke. The Sentinel. Masterworks of Science Fiction and Fantasy. New York: Berkley Books, 1983. Vladan Nikolic is associate professor of Media Studies and Film at The New School and an award-winning filmmaker. His science fiction feature film ZENITH (2010), which is also part of an extensive transmedia project, has been released in a unique and innovative way, combining theatrical, video, and online releases over multiple platforms, resulting in millions of downloads and a cult following.